Nothing can be more relaxing and invigorating at the same time as swimming in your indoor or outdoor pool. Swimming tones our muscles and skin without any hard training and sweating in the gym. 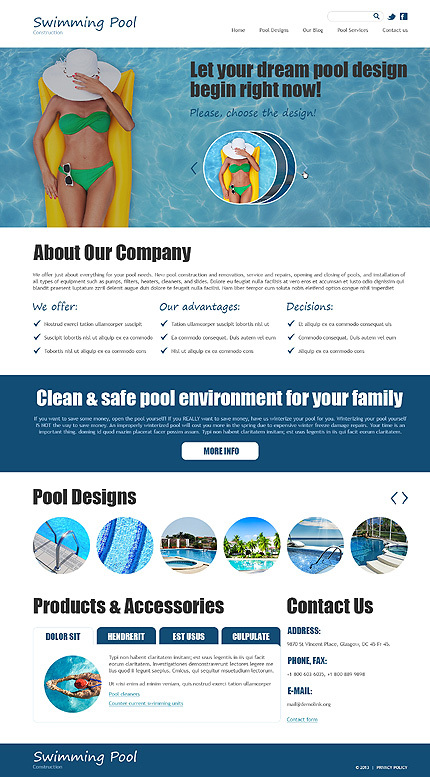 If you own a swimming pool company and want to deliver this message to your potential customers, here is an idea how to do this the most visually attractive manner. Please note the uncommon slider solutions, circular banners and tabbed 'Products Accessories' content section of our template. 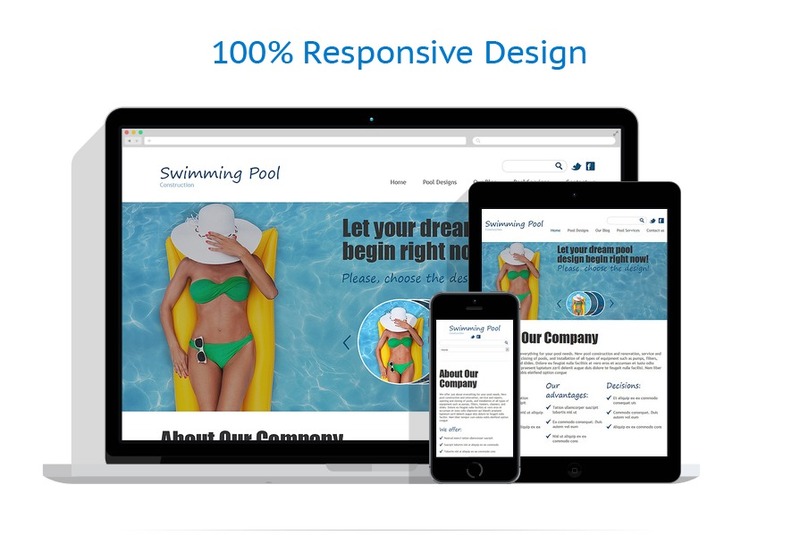 With the help of such small designer's tricks you will be able to place all your essential information in the most appealing and easily digestible manner. Get this creative template and make people know you and talk about you. 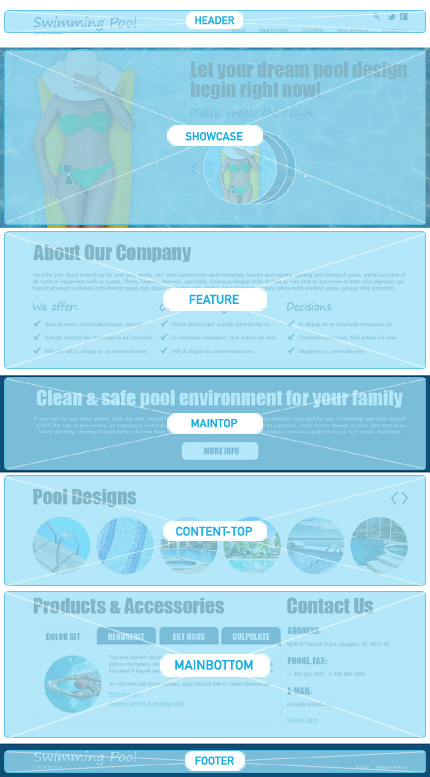 The theme was intended for online swimming pool, diving, and marine companies.